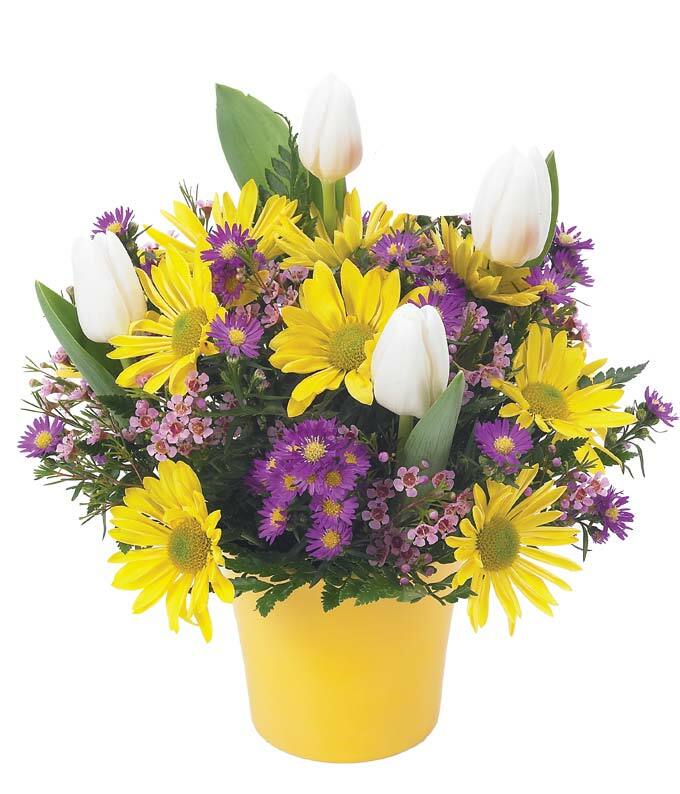 Celebrate any occasion this spring with a colorful bouquet of daisy poms, tulips, monte casino and waxflower. Arranged in a bright cache pot, this arrangement will fill their heart with joy. Measures 11"H by 9"L. *Tulips may be substituted for similar color and value during the months of May thru October. Pot may vary depending on local florist's availability.